Seventh Decimate by Stephen R. Donaldson was one of the advance reading copies I picked up at New York Comic Con this year. At first glance at the back of the box I got one vibe from it: Avatar: The Last Airbender meets Game of Thrones. 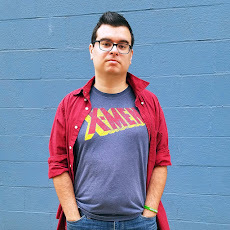 Did the fantasy novel live up to those expectations? Find out in my full review. Seventh Decimate follows Bellegerin Prince Bifalt on a quest to uncover the truth about the rumored seventh Decimate that the Amikans allegedly invoked upon their entire kingdom. Defenseless from their northern enemy in a war that has wrought generations of anguish, Belleger’s last hope lies in the Prince’s hands. 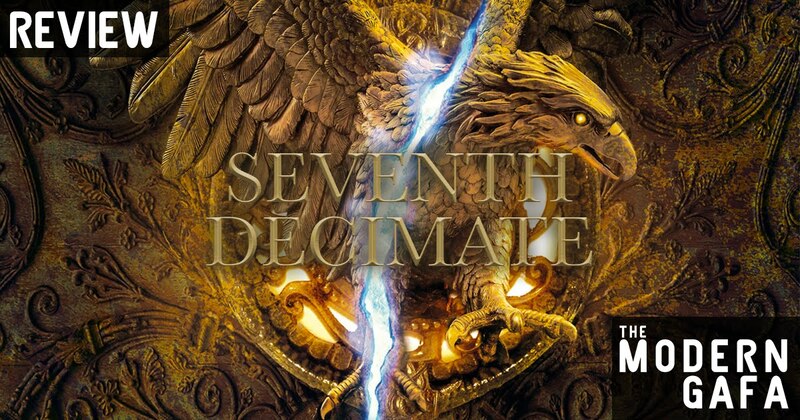 In its exciting prologue, Seventh Decimate is in fact Avatar: The Last Airbender meets Game of Thrones. My first scan of the back of the book leads me to believe the seventh Decimate would temporarily block the powers from an individual sorcerer within range of the one who invoked it. However, the scale is much larger as every sorcerer in Belleger is rendered eternally powerless. While this ensures that the stakes are much greater, the rest of the adventure is entirely devoid of battles where sorcerers raise fire and shoot lightning. The bulk of the adventure sees Prince Bifalt lead a small company of men eastward beyond charted territories to discover the location of a library that may hold a book containing the details of the seventh Decimate. One by one the group faces struggles both from Amikan assaults, betrayal from within, and even the harsh elements of nature itself. Prince Bifalt’s determination is his defining characteristic, willing to do whatever it takes to survive and ensure the survival of his people. When a normal man would give up, Prince Bifalt keeps going so that Belleger may have a fighting chance. What’s even more, Prince Bifalt is very outspoken about his disgust of sorcery and his hatred for the Decimates. He finds magic to be an abomination of warfare and despises it even more considering Belleger’s own sorcerers helped craft the rifles that are now the kingdom’s only defense against Amika. The biggest thing that irked me from page to page was how Prince Bifalt puts his faith in half a dozen things that might not be true. The library, the book, and even the seventh Decimate itself are all rumored. It is purely conjecture that the Amikans were the ones who found the book and used it against Belleger. Assuming all that to be true, the idea that the book was left behind in the library that may not exist is a lot to base a kingdom saving quest on, especially one led by the heir to the throne. The prince even follows a clue of someone immediately revealed to have been a trap. While one may rightfully assume that their kingdom’s strife was brought on by their enemy, so many assumptions by the characters put the entire plot in motion and very rarely do we see someone question if there is a chance it may not be totally true. This could be a genius level of characterization, with Prince Bifalt blinded by hope and following any lead possible, but to me, it came off as a series of intelligent moves. While his motives may be questionable, Prince Bilfat’s adventure is still a great read as it takes us through a world unexplored by the people of Belleger. To the Prince, Belleger and Amika is all there is. However, the two kingdoms are merely insignificant little countries in a much larger world that we get to explore and discover alongside Prince Bifalt. We meet a caravan of different kinds of people from all across the world including monks, ninjas, priests, healers, and more. While the quest may be built on assumptions and a few too many coincidences, Prince Bifalt’s adventure to find salvation for his kingdom is still an exciting read. While it may not feature too many of the Decimates outlined in its premise, each of the company’s struggles of both man and nature, sends the reader from one twist to the next as the world beyond the known borders of Belleger is opened up. I genuinely want to find out what happens to the characters next and discover more of the world from Prince Bifalt’s point of view. Seventh Decimate is out now! Get your copy here.